Soy candles are a beautiful addition to any space. Brooke will guide you through all the steps to create your own unique and exceptionally pretty scented soy candles! Soy are the ideal candle as they produce low soot and a clear burn. You will learn about the equipment needed, how to embed the wick, incorporate a desirable fragrance load and colour your candle creations. Brooke will also provide petals and other things to thoughtfully decorate your finished product. You will leave with 3 candles of varying size. Class sizes will be limited and are suitable for teenagers and adults. No previous experience is necessary. Premium soy wax, fragrances, colour and glasswear to make 3 candles. Brooke Bullock is a craft mad maker from the Gold Coast. 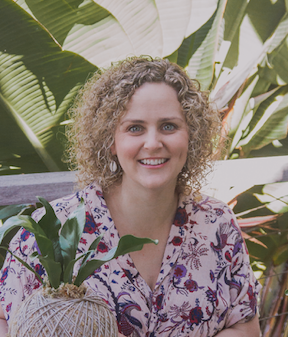 Brooke has worked professionally in education for close to ten years and for the last five years has combined her love of craft with teaching to facilitate workshops over Queensland and Northern New South Wales. Brooke is passionate about the relaxing nature of hand making and loves to meet and mingle with workshop participants.